The Wildlife Trust of India, along with International Fund for Animal Welfare, United Nations Environment Program and the Ministry of Environment, Forest and Climate Change invite everyone to a Four-day long Gaj Mahotsav. This Elephant Festival will take place from 12 to 15 August 2018 at the IGNCA, New Delhi. August 12 is also celebrated as Elephant Day. 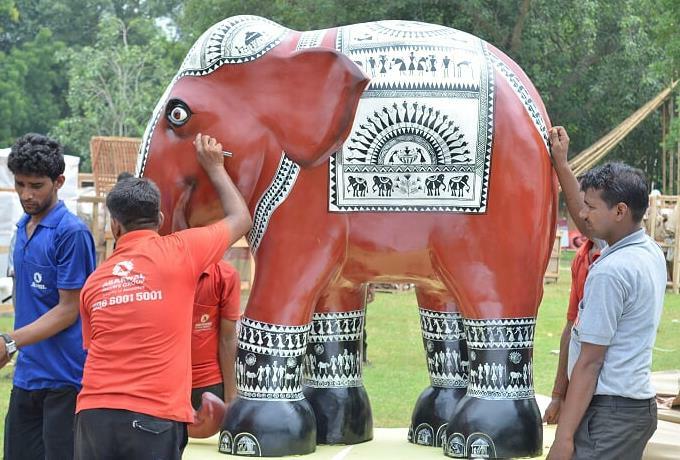 Gaj Mahotsav will be a celebration of the Asian Elephant as India’s National Heritage Animal. The events during the Gaj Mahotsav will span across four days and cover art, culture, dance, music, film, literature, spirituality, ecology, media and policy. It will also have a special area for display and sales of elephant themed products and produce from various NGOs invited to showcase their social enterprises. Venue: Indira Gandhi National Centre for The Arts (IGNCA), New Delhi. Interested citizens can Register themselves for Free by filling this form (click here) and participate in one or all of the above events. Please note that the Gaj Mahotsav is strictly a Single-Use Plastic Free event. Please DO NOT carry polybags, plastic water bottles to the venue.